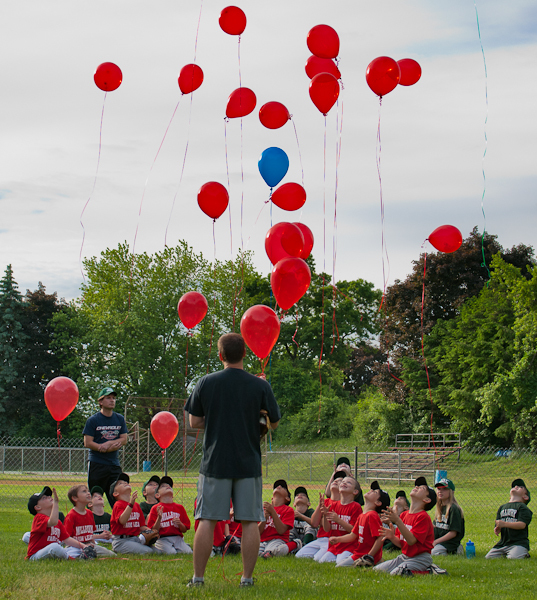 His Farm League teammates send balloons to the heavens in a touching tribute to Owen Carrignan before their baseball game on Friday June 1, 2012. Just as with an individual person, I believe the character of a community is defined not by how they act on their best day, but by how they handle themselves when times get tough. As the healing from the tragic loss of such a wonderful young boy is just beginning, the outpouring of love and support for Owen's family from so many members of his community truly made me proud to be a member of it. To the Millbury community: Bravo. To Owen: You will be missed by many but forgotten by none.